Welcome home to St. Paul’s! Whether you are new to Orthodox Christianity or are visiting from another Orthodox parish, we’re glad that you’ve stopped by our website and hope that you’ll come and visit us in person if you haven’t done so already. You are welcome! We love having visitors join us to worship the Holy Trinity in prayer and song. We won’t make a public spectacle of you or ask you to do anything uncomfortable. We lay no expectation on visitors of financial contribution to our parish’s ministries. We love kids! Our children worship together with us—they are not segregated out during our services. If your child gets a bit out of hand, please do not feel embarrassed to make a visit to the narthex or parish hall until the child is ready to rejoin everyone else in worship. Our building is fully handicap-accessible and includes handicap parking in the front of the building. If you need any help, let us know! Located in the friendly and historic borough of Emmaus, Pennsylvania, St. Paul Antiochian Orthodox Church is a warm, welcoming Orthodox Christian church, believing in and worshiping the Holy Trinity according to the Holy Scripture and the unchanging holy tradition of the Orthodox Church. The parish is pan-Orthodox and multi-ethnic in composition, embracing the customs of Orthodox Christians of varying backgrounds, within the traditions of the Antiochian Archdiocese, using English as the language of worship. St. Paul’s is a parish of the Diocese of Charleston, Oakland and the Mid-Atlantic, within the Antiochian Orthodox Christian Archdiocese of North America, part of the ancient Orthodox Christian Patriarchate of Antioch, the place where the disciples of Jesus were first called Christians (Acts 11:26). Our pastor is the Rev. Fr. Andrew Stephen Damick. St. Paul’s welcomes the people of Emmaus, as well as residents and visitors from throughout the East Penn and Lehigh Valley metropolitan area. The parish community includes members of all ages and varied ancestry. Whatever your background or previous religious affiliation (including none! ), you will fit right in at St. Paul’s. 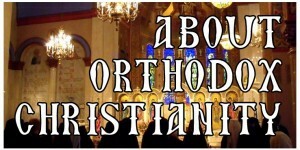 All are welcome to attend any of our worship services, as well as taking advantage of educational opportunities to learn about the ancient, unchanging Orthodox Christian faith, delivered by Jesus Christ to His Apostles and kept for 2000 years without addition, subtraction or alteration. Worship services, all in English, are held throughout the week. Again, whether you’re new to Orthodoxy or are a long-time Orthodox Christian, whoever you are, whatever your background or experience, you are welcome at St. Paul’s!